There was a time when anyone could mine Bitcoin using their gaming GPU’s. However, with the addition of new miners and mining farms to the global mining pools, the possibility to mine Bitcoin at home vanished – no GPU could deliver the required Bitcoin hashrate to be profitable. This is why Bitmain, a China-based company developed and released a set of ASICs that are accessible to the casual miner and have a reasonable ROI, allowing common people like you and me to start mining Bitcoin once again. The company is well-known for ASIC miner models such as the Antminer R4 and S7. As the Bitcoin difficulties rise, Bitmain issues new miners to keep up with the demand. Their latest Antminer S9 is the top-notch ASIC miner that uses 16nm chip technology to deliver superior hashrate. There was a lot of talk about the Antminer S9 since it first came out. However, cryptocurrencies are volatile, and in this article I aim to review whether it’s still profitable to mine using the S9. I will also explain how to set it up properly. Let’s get started. If you don’t live in China, then power consumption will probably be the main factor that affects ROI. The Antminer S9 pulls 1375W out of the wall. This means that running the miner will cost you somewhere between 15 and 30 cents per hour, depending on the price of electricity in your country/state. It’s always better to have a more powerful power supply for the miner. If the power supply wattage limit is somewhere close to the consumption of the miner, then the efficiency of your rig might suffer, or the electricity costs might go up. This is due to the fact that when a power supply works at its limit 24/7 it usually suffers from overheating, which makes it less efficient. Therefore, since the S9 consumes 1375W, it’s recommended to use a 1600W power supply or more. The S9 is definitely not meant to be used at home. The miner is very temperature-sensitive, thus it requires serious cooling to keep running stable. The 16nm chips die easily due to overheating, therefore it is recommended to install the S9 in a place like a garage or a dedicated mining farm. Unlikely the Antminer R4, the S9 is rather noisy. It comes with two big-size high-revolution fans that produce about 77-80 Db of constant noise (the equivalent of a vacuum cleaner). The S9 is not a bedroom miner. 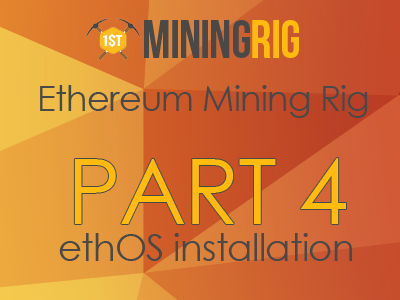 If you want to have something for home usage, then the R4 is probably the miner to go. As for today, there is no more powerful Bitcoin miner than the S9. It outputs 14 TH/s, which means that you are getting between $4.56 and $5.88 worth of Bitcoin every day (depending on your electricity cost). With an electricity cost of 0.10 $/KWh, your estimated income per year is $2,150, which is almost the double than the price of the miner. The miner also requires a 1.600+ W power supply. The recommended one is the EVGA 1600W 110V/220V that costs somewhere between 300 and 400 dollars. There are no other costs besides that, so as for April 2017, you can say that the average price of the S9 + the power supply is around $1550 USD, assuming you are buying the S9 from the official Bitmain site. However, as it always happens with cryptocoin mining, your income depends a lot on the difficulty level too, which at the same time depends on how many people are mining the coin simultaneously. Since people keep purchasing Bitcoin mining equipment, it is suspected that the mining difficulty will keep rising. However, the price of Bitcoin goes up too. It started with 0.08USD per Bitcoin in July 2010, and it reached a whooping $ 1,250 in April 2017. While no one knows how exactly the coin will be priced in the future, it is very probable that Bitcoin will keep experiencing growth for a while. This is due to many factors, one of which is that the coin keeps gaining popularity – there are more and more products that can be purchased through it, plus there are more and more places where Bitcoins can be exchanged for paper currency. Combined with the fact that new coins aren’t generated as fast as they used to be (because of the planned difficulty increase), this makes Bitcoins naturally increase in value over time. While the difficulty levels of Bitcoin mining increased about three times since April 2016, the price of the coin increased three times too, which makes me think that there is some sort of stability of income despite the growing Bitcoin mining difficulty and global hashrate. The S9 is surprisingly easy to set up. Once you got both the miner and the power supply, you got to connect it to the miner. The S9 comes with 9 connectors to the machine and one to the board. Make sure the power supply switch is off. Plug it into the miner, then to the wall. Then plug in the Ethernet cable. Once everything is set, check the cable connections again and then turn the power supply switch on. Note: Once turned on, it takes about 20 minutes for the miner to start mining Bitcoin. Now it’s time to configure the wallet and mining pool. Once the miner is plugged into the internet, it generates its own IP address. In order to configure the miner, you need to log into that IP address through your Internet browser from a PC. To do that, use IP Reporter and then copy the Antminer IP into your web browser bar. Make sure you have IP Reporter running on your PC before you turn on the miner. Once there, you can check the miner status – whether it’s hashing or not, the hashing speed, core temperature and frequency, among other stats. Next, log in to https://antpool.com/ . Notice that you can log in to the Antpool using your Bitmain website credentials. There are three URLs for Bitcoin pools; I recommend using all the three pools so if one fails, the miner can keep mining in the other one. The Password box does not affect anything, so leave it as it is. That’s all. Do not forget to click on ‘Save and Apply’. It will take a couple of minutes for the miner to start mining. You can manually refresh the ‘Miner Status’ tab to check the progress. Is the S9 worth it? I’ve been running this blog for a while, keeping an eye on the last cryptocurrency news and sharing them with you guys. I’ve noticed that despite all the trash talk about Bitcoin, the blockchain technology is becoming a standard in all areas of exchange and data storage. Bitcoin is steadily earning a good reputation and the way big companies and investors are switching to this cryptocurrency means a lot. I’d say that owning a S9 miner is a profitable and safe way of turning your Dollars/Euros into Bitcoin. There’s no reason why Bitcoin price might go down in the near future, and having a piece of gear that generates BTC 24/7 is probably a great investment.